I fell in love with the Agent Pendergast novels from the very beginning when I was introduced to him in The Relic. Not the B movie but the novel. In subsequent novels I found the writing of Douglas Preston and Lincoln Child to be intriguing and thrilling. They are smart novels. Books that challenge your intellect as well as thrill you with mysteries very often based on fact. I had the pleasure of meeting Douglas Preston at a book signing at the Poisoned Pen in Scottsdale a few years back. I had an entire bag of books and he not only took the time to sign each one but held a conversation with me as well. He actually looked at me when he spoke and not past me. Something many other lesser known authors could learn when greeting their public. So perhaps I am a little prejudice when it comes to a Preston and Child novel. Even more so when it involves Special Agent Pendergast of the Federal Bureau of Investigation and his protégé Corrie Swanson. 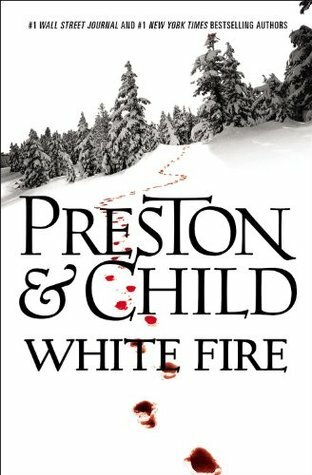 And while I can say that White Fire, the thirteenth installment in the Pendergast series is not the best, it is on its own a really good story. It also has the added benefit of having a “lost” Sherlock Holmes story that you will come away convinced was actually written by Arthur Conan Doyle in its pages. The novel begins with a meeting between Conan Doyle and Oscar Wilde, as Wilde recounts to Doyle a story he had heard in a small mining town in the state of Colorado as he was touring America. A story so horrific that it may be the premise of The Hound of The Baskervilles. A story that Doyle would later write truer to its truth and have rejected, becoming the lost tale of Sherlock Holmes. Then in the modern day, young Corrie Swanson travels to the ultra exclusive resort town of Roaring Fork, Colorado to investigate the bones of dead miners killed over one hundred and fifty years before by a crazed grizzly bear. What she finds is even worse and the basis for Wilde’s tale to Conan Doyle. Swanson is jailed for her discoveries and it is up to Pendergast to come to her aid. As he saves his protégé from the political influences of the town, an arsonist takes hold and burns down the homes of the affluent. With the living bodies of the homeowners setting the blaze. It is up to Pendergast and Swanson to stop the arsonist. Solve the murders. Solve the killings of one hundred and fifty years before and find the lost story of Sherlock Holmes that holds the key to the other mysteries.